Hessonite Garnet or Gomed birthstone pacifies Rahu, which is not a planet but the ascending node of the moon. It is malefic and give sudden changes and influences, wheather positive or negative. In vedic Astrology it is similar to Sani or Saturn in its nature and influence. It is also known as the "head of the dragon". In Sanskrit, it is known as Gomedak, Rahuratna. In English it is also called as Cinnamon stone. In Arabic, it is called Hazar Yamani. It is Grossular garnet as per gemology and is found in various colours but they are known to derive their name from their first specimen found. The chemical composition is Calcium Aluminium Silicate. 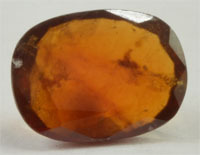 This had orange brown colour and this colour is due to manganese and Iron inclusions. The best one is found in Sri Lanka in metamorphous rocks or gem gravels. 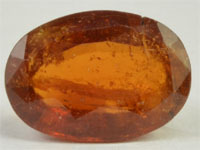 In Madagascar, it is generally called as Cinnamon stone. It is also found in Brazil, Canada and Siberia as well as in Maine (California) & New Hampshire in USA. Who can wear Gomed /Hessonite ? 1. Rahu is karak for gambling , satta , race or job of gains of windfall nature like Stock Market. Those in these businesses shall wear Hessonite to get sudden gains. It is also best worn along with Eight Mukhi Rudraksha for best results. 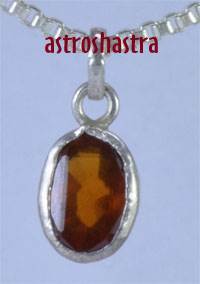 Astroshastra would provide you the energized silver pendant of 5 ct Certified Hessonite along with 8 mukhi rudraksh for success in your business. ORDER NOW. 2. Sarp dosha in the horoscope is indicated by placement of Rahu and Ketu in the Horoscope. When Rahu is placed in 5th house or is in conjunction with Sun or Moon , it is called Eclipse of Sun or Moon in birthchart, therefore wearing Gomed is very helpful. 3. In kidney problems, it is worn with daana firang also called Kidney Stone (upratna or semiprecious stone). It can be made in single silver pendant or can be worn as different rings. 4. Those who are suffering from Kaalsarp Yoga or Sarp Yoga . However, placement of Rahu should not be in 8th and 12th. You can ORDER SILVER KAAL SARP DOSH NIVARAN PENDANT. 5. If Rahu joins the 3rd, 10th, 11th and 9th house in the Horoscope. Hessonite would be beneficial if worn. 6. Those undergoing the Mahadas or anterdasa of Rahu shall definately wear it. Compatibility of Hessonite with other Gemstones : In astrology it is stated "Rahu Vat Shani" means rahu is like shani , therefore it can be worn with Blue Sapphire and other friendly stones are Cat's eye and Emerald . It shall not be worn with Red coral, Ruby and pearl as Sun , Moon and Mars are enemy planets for Rahu. How to wear Gomed ? It should be worn in middle finger of either hand , Men shall wear it in right hand and Women shall wear in left hand middle finger.. It should be worn on Wednesday or Saturday. If Rahu is placed in the sign of Jupiter, Mars or Sun, it should be worn in gold otherwise in silver ring. It shall be worn after purification and energization by Vedic Mantras for Rahu. 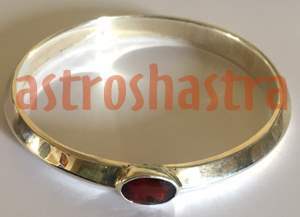 Astroshastra would provide you the energized stone , ring , bracelet or pendant. "Om Bhraam Bhreem Bhroom Sah Rahvey Namah"
1. Rahu is believed to be responsible for good or bad relations with in laws. It stands equal for males and females with regard to in-laws. Wearing it, promotes bonding in the family , in-laws and gives happiness. 2. It gives Recognition for work and stability in career. Those facing issues with recongnition in their work place ad where some other person take the credit of the work done by you , shall wear it . It stablize the hopping in Job. 3. Rahu in 5th affects Children or happiness from children, therefore wearing Hessonite Birthstone is good for birth of children and happiness from children. 4. It improves stamina and security and assures a healthy, long life. 5. It has also been known to improve vision. 6. It is used to counter the ill effect of Rahu which causes students to be disinterested in studies , wearing it along with Eight mukhi rudraksha and Saraswati yantra pendant make a very good combination for Students , who loose their interest very quickly . 7. 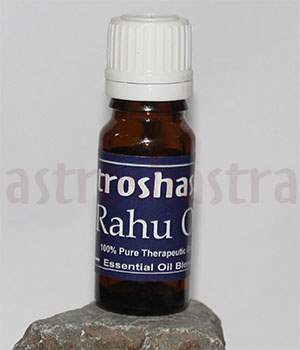 Rahu if in conjunction with mercury and moon gives restless mind and makes on very sensitivity. It cures hypersenstivity, sickness or a restless mind. 8. It aids in improvement of finance, health and happiness and it deters enemies from hatching plots against the wearer. 10. Those having Rahu in their tenth house in the horoscope shall definately wear it as it is placed in house of career and giving seventh aspect to 4th house. Wearing it helps the wearer with regard to professional development. 11. It bestow financial prosperity and leads to gradual accumulation of wealth. 12. It ward off the evil eye. It is believed that, if you are wearing Hessonite around your neck , you are protected by evil eyes. 1. It cures excess of wind and increases appetite and promises vitality. 2. Combined use of gomed and red coral cures nervous disorders, brain troubles. 3. It is very helpful in digestive complaints. 5. It prevents wearer from accidents, snake's bite, insanity, animal bite etc. 6. It is good for those suffering from allergies, skin disorder, piles, epilepsy, infection of eyes, cold, sinus infection, fatigue, insomnia, BP. Semi Precious Substitute: Semi precious substitute is Amber. If you require the gem set in ring or pendant, you can select the size of the stone of your choice from different categories available and add it to your cart , where you will get the option of getting it set in Silver or Gold ring /pendant.